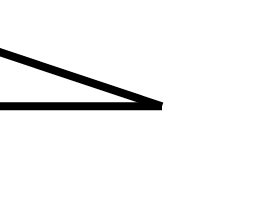 Zero force members are members in a truss/frame that theoretically have no force in them. Being able to identify these members swiftly will aid you on the PE Exam and in life in general (possibly). There are two rules to look for when identifying zero-force members. Joints with three members where two of the members are parallel, and there is no external load. The third member will be zero-force. Joins with two members and no external load. Both members are zero force.